Space-age shoegaze superheroes Autolux took the stage at Pomona's The Glass House in a homecoming (if you count Pomona being in Los Angeles because it's in L.A. county) performance that highlighted many of the band's best tracks from new album Transit Transit and 2004's Future Perfect. Six years passed between the release of the band's first two albums, and even though they did tour and perform one-off concerts fairly regularly between albums, the concert did have a refreshing return-to-form/comeback feel to it since it was the first time an L.A. crowd was able to see the band after having enough time to take in the newly released album. Aside from some heckler annoyances here and there, the evening was pretty majestic. Highlights of the show included Greg Edwards' Transit Transit haunted piano ballad "Spots", the glitchy and mesmerizing "High Chair", which sounds like a great Hail to the Thief-era Radiohead track (and contains the inexplicably intriguing lyric of "No more passing out in banks" which is some great imagery), and Future Perfect's under two minute bulldozer "Robots in the Garden", which has the power to snap out anybody caught in a trance by the band's beautiful ballads. FYM gave Autolux's new album Transit Transit a well-deserved glowing review back in early August (which you can read by clicking HERE). In a nutshell, Transit Transit is one of the finest releases of 2010, expertly taking the best aspects of Future Perfect while building on them and expanding their sound with the welcome addition of piano and processed electronic percussion to give an a band that already sounds futuristic an even more cutting-edge feel. 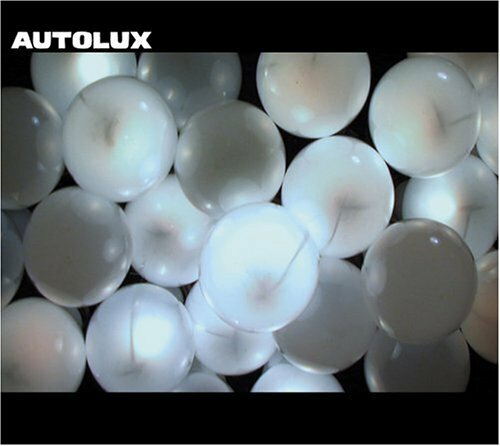 FYM wasn't around when Autolux released their debut full-length, Future Perfect, in 2004. The album sounded (and no doubt still does to this day) simultaneously modern and ahead of its time, despite finding some old-school 90's shoegaze (Slowdive, My Bloody Valentine) in its DNA. Its ahead-of-the-curve qualities were even more emphasized by the resurgence of the shoegaze sound (The Big Pink, M83's Saturdays = Youth) that seemed to be led by My Bloody Valentine's monumental reunion tour that didn't happen for another three years after its release. The longer that Autolux took to release Transit Transit, the more it became clear that Future Perfect was a modern classic and one of the finest albums of the last decade (and beyond). Gold Panda started the night by playing some of his signature ambient electronica, a fine companion to Autolux's sound.